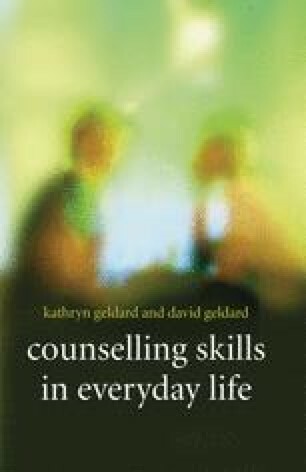 Throughout this book we have emphasised our belief that one of the most useful ways of helping other people is to listen and communicate with them in ways that will encourage them to talk openly and help them to feel valued. We have emphasised the importance of the relationship between the person offering help and the person being helped. Of particular importance is the helper’s ability to look at the situation from the troubled person’s point of view.